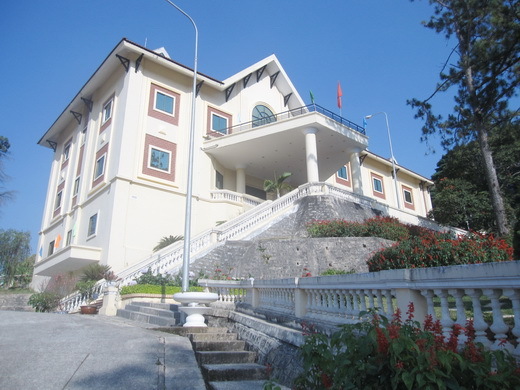 Luxurious, majestic and modern facilities, where the palace is expressed pinnacle of power and riches of the owner. 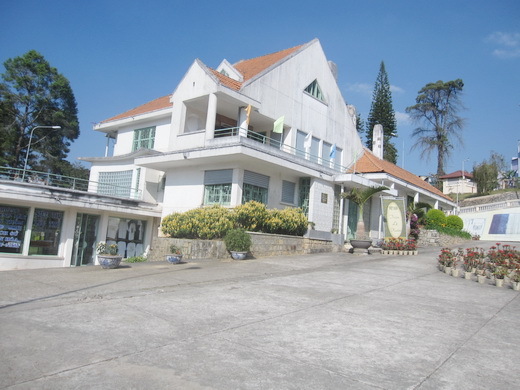 Tran Le Xuan palace is located on Lam Son Hill, far away from the central Dalat city about 3km, which began construction in 1958 with an area of about 13.000m². 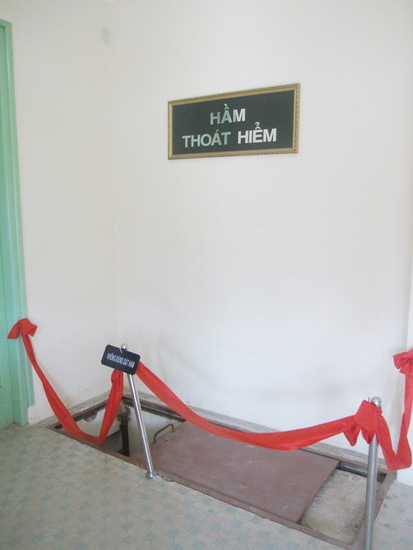 The palace used to be “the first South celestial” includes three villas: Bach Ngoc, Lam Ngoc and Hong Ngoc are built with different purposes. 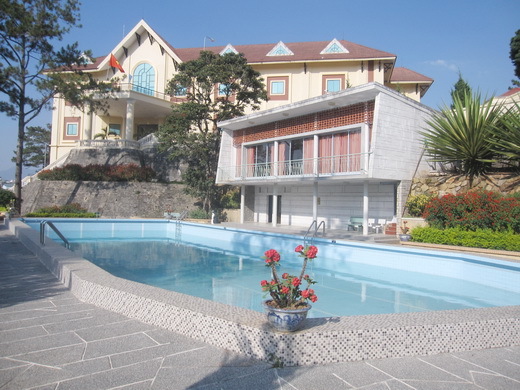 Bach Ngoc villa (where Tran Le Xuan’s family and generals entertain) is the most magnificent, with the front toward Yet Kieu Street, a long staircase and heated pool. The interior of Bach Ngoc quite modern with meeting rooms, business center, ballroom, dressing room, etc. Lam Ngoc villa (where a weekend of Le Xuan’s family) with the direction of rotation of the Bach Ngoc villa, the villa is set folding design with many rooms connected together. All rooms are equipped with modern French fireplaces in most of the time. In the dining room has a refrigerator with a large capacity rexpress the wealth of the family. 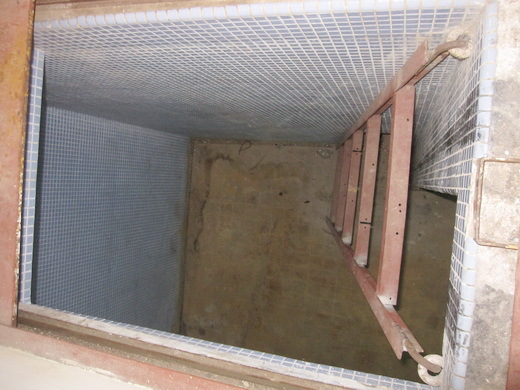 At Lam Ngoc villa, there is an internal escape tunnel and bunker with a capacity of about 10 people with a lid made of steel. Tunnelling is not deep but wide, with many shelves and safe inside. Leave Lam Ngoc, along a curved path going to Hong Ngoc. 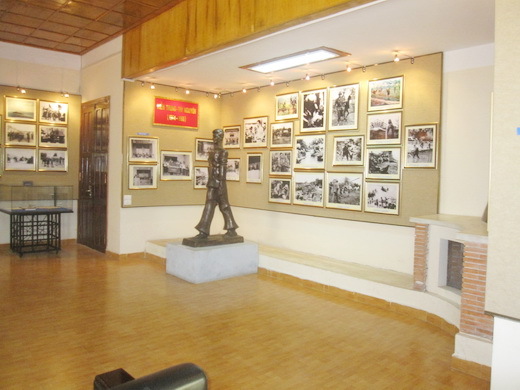 Villa has smaller area and quite separate, is the gift of Tran Le Xuan for his father. If Lam Ngoc, Bach Ngoc bring the design of the modern French architecture, Hong Ngoc characterized by the classical school of gray stones, circular pillar. 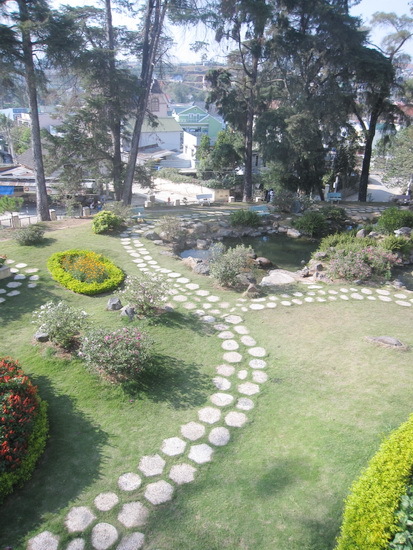 On Tran Le Xuan palace campus, a garden was designed on Japan style with grass, rocks, and the beautiful flowers of Da Lat. Lotus lake is perfect balance and harmony with the villa and the surrounding pine forests. Behind the garden has a lake, when filling, shaped lake bottom will show a map of Vietnam. Between miniatures atlas also includes separators shown latitude 17 separating 2 regions South and North. 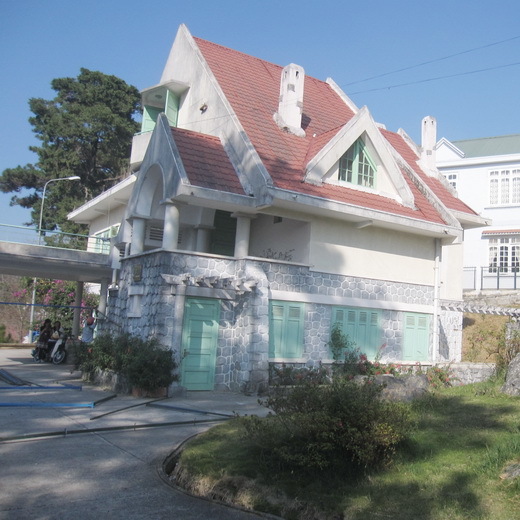 Come here during the day, visitors will admire the whole beauty of the palaces, the narrow winding streets, the house hidden in the green of the pine trees. If you arrive at night, visitors will experience the feeling of monarchs, sipping hot tea in cold weather of Da Lat, in the beautiful luxury but equally romantic palaces, the night sky with moon frame the more romantic scenes. 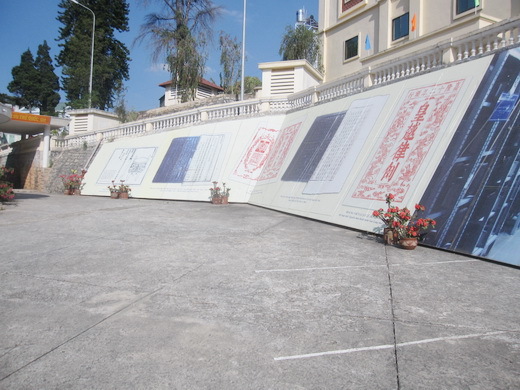 Currently, Tran Le Xuan private palace became the National Archives Centre IV, where reproduce vivid fight tenaciously fight for independence of the Central Highlands and the storage Nguyen Dynasty woodblocks document been recognized by UNESCO as world heritage materials.